The Soča is an alpine river that begins in the Trenta Valley and runs through western Slovenia. The river is managed by two separate associations, the Fisheries Research Institute of Slovenia and Ribiška Družina Tolmin. Not only is this river filled with extensive deep pools and surrounded by beautiful scenery, it is also home to the elusive marble trout. 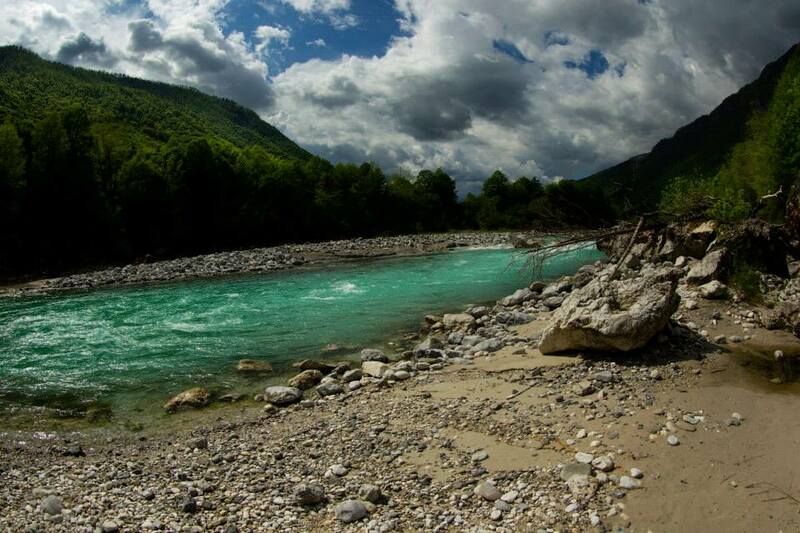 If you want to fish the Soča, look no further than Cottages Na Biru. Located on the banks of the RD Tolmin section, these two private lodges will provide you everything you need - including home cooked meals, excellent guiding and all the comforts of home. Brown trout, rainbow trout, marble trout, grayling.